Violinist and Wisconsin native Beth Larson is a diverse violinist with extensive experience as an orchestral performer, chamber musician, and educator. Beth received her Undergraduate Degree at University of Wisconsin-Madison where she studied under David Perry. After completing her degree, Beth moved to Chicago to act as both Assistant Concertmaster and Principal Second Violin during her two-year fellowship with the Civic Orchestra of Chicago. She also founded and performed regularly with the Allium String Quartet in recitals and private performances throughout the city. 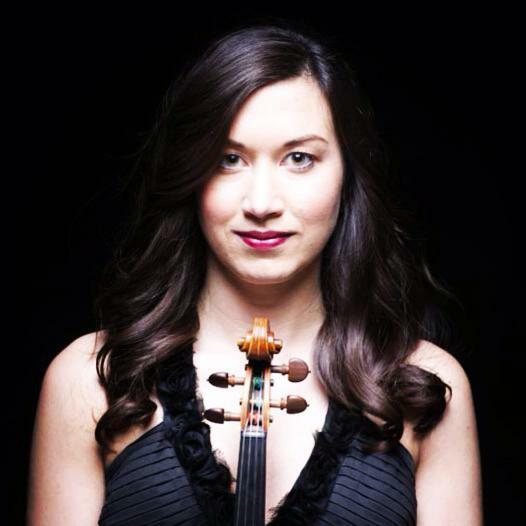 Beth recently traveled to Japan to perform as Concertmaster with the Pacific Music Festival. She has also performed at the Aspen Music Festival and the Kent/Blossom Music Festival and studied under Paul Kantor, Steve Rose, and members of the Miami String Quartet while in attendance at these esteemed institutions. Now residing in Madison, Beth is acting as Associate Concertmaster of the Madison Symphony Orchestra and is a member of first violin section of the Wisconsin Chamber Orchestra. She also performs regularly with The Willy Street Chamber Players and Lucido Felice Quaret. Beth has always been a passionate and enthusiastic teacher and maintains a large private violin and viola studio and enjoys coaching for the Wisconsin Youth Symphony Orchestra on weekends. Outside of her active performing career, Beth serves as UW-Madison School of Music’s Engagement and Outreach Coordinator.